NOTES: Discounted tickets are being sold at our IBEW 569 San Diego Union Hall from 8:00am-11:30am and 1:00-4:00pm Monday through Friday (4545 Viewridge Avenue, San Diego) or at our Imperial Valley Office (same hours; 2420 Imperial Business Park Drive, Imperial). In San Diego, you can pay via cash, credit card, money order, or check (made out to "IBEW Local 569"); at the Imperial County Office, you can pay by money order or check only. 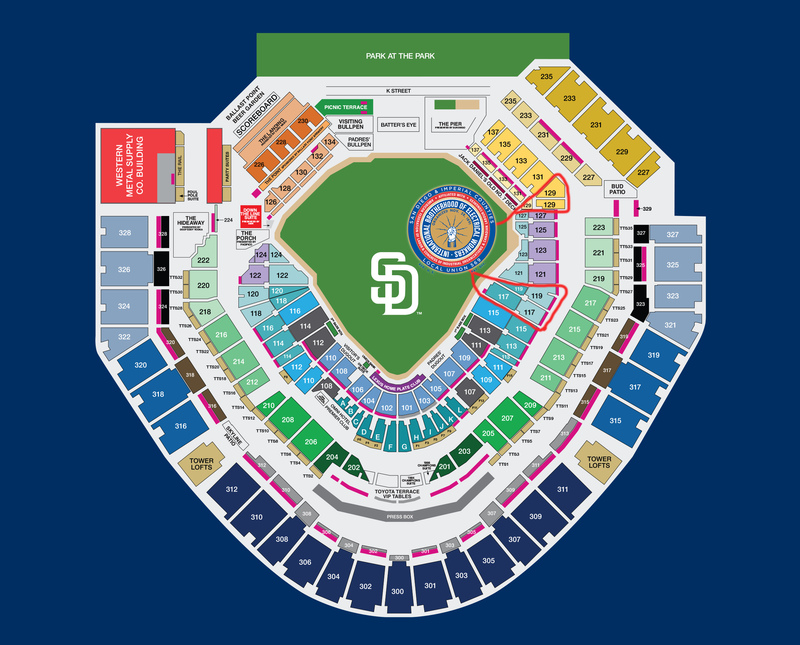 BONUS DRAWING for IBEW 569 Members – bring your dues receipt to purchase your tickets early and be entered into the drawing to THROW THE FIRST PITCH at the game. We’ll draw the winner at our Union Meeting on June 13th! GET YOUR TICKETS EARLY! There is no limit on the number of tickets IBEW 569 members can buy at the 569 Member price for your family and friends, but the Bonus Drawing is limited to one entry per dues-paying member.